allows combining several sense-connected items. It's identical to fieldset but doesn't have label and frame. number sets the left absolute offset of input.The attribute is applied only if the position is set as "absolute"
number sets the top absolute offset of input. The attribute is applied only if the position is set as "absolute"
boolean defines whether or not checkbox will be checked initially. The default value is "false"
number sets the left absolute offset of input. The attribute is applied only if the position is set as "absolute"
string|number the width of input. The default value is "auto"
string|number the height of DIV where the label is placed (not the font size). The default value is "auto"
number sets the left absolute offset of label. The attribute is applied only if the position is set as "absolute"
number sets the top absolute offset of label. 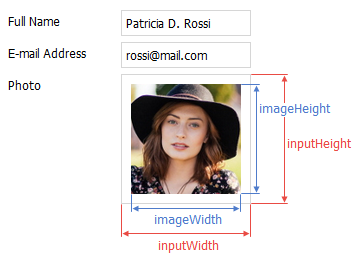 The attribute is applied only if the position is set as "absolute"
string|number the width of label. 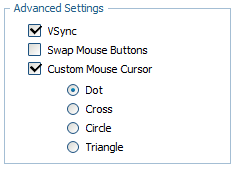 The default value is "auto"
The control behaves itself as a checkbox but doesn't have any visual representation ( i.e. if you simply add it to the page the page will display nothing (it just adds an empty DIV). To set the look of just a specific bt2state instance you should use the cssName attribute. number sets the left absolute offset of control. The attribute is applied only if the *position* is set as "absolute"
number sets the top absolute offset of control. The attribute is applied only if the *position* is set as "absolute"
dhtmlxCalendar integration. 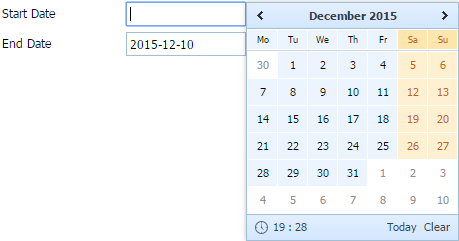 Presents date field with a pop-up calendar. string|number the height of input. The default value is "auto"
number sets the left absolute offset of input.The attribute is applied only if the *position* is set as "absolute"
number sets the top absolute offset of input. The attribute is applied only if the *position* is set as "absolute"
string|number the height of a label. The default value is "auto"
number sets the left absolute offset of a label. The attribute is applied only if the *position* is set as "absolute"
number sets the top absolute offset of a label. The attribute is applied only if the *position* is set as "absolute"
string|number the width of a label. The default value is "auto"
number from 1 to 7 - sets the start day of a week. '1' relates to Monday and '7' to Sunday. number sets the left absolute offset of input. The attribute is applied only if the *position* is set as "absolute"
number sets the left absolute offset of label. The attribute is applied only if the *position* is set as "absolute"
number sets the top absolute offset of label. The attribute is applied only if the *position* is set as "absolute"
dhtmlxColorPicker integration. A data field with a pop-up colorPicker. 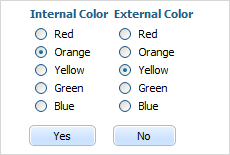 boolean sets custom colors (specified in the customColors parameter) for the item. 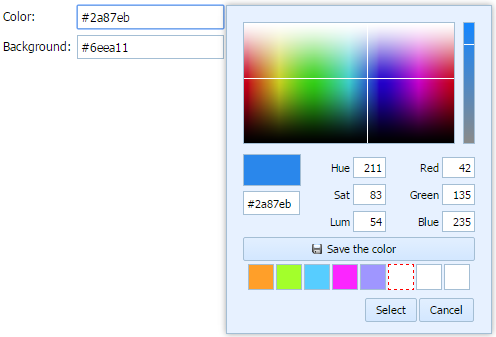 The default value - "false"
string a comma-separated list of custom colors that will be used in the colorpicker if the enableCustomColors parameter is set to "true"
string|number sets input height. The default value is "auto"
number the left absolute offset of input. The attribute is applied only if the "position" is set as "absolute"
number the top absolute offset of input. The attribute is applied only if the "position" is set as "absolute"
string|number sets input width. The default value is "auto"
string|number the height of label. The default value is "auto"
number the left absolute offset of label. The attribute is applied only if the "position" is set as "absolute"
number the top absolute offset of label. The attribute is applied only if the "position" is set as "absolute"
dhtmlxCombo integration. Presents a normal combo box. Form supports combo nesting, i.e. you can set different items for different options. Subject to the selected option - the appropriate set of items will be shown. url allows loading select options of the item from database. See details in Combo Specific HowTos. number sets the left absolute offset of input.The attribute is applied only if the "position" is set as "absolute"
number sets the top absolute offset of input. The attribute is applied only if the "position" is set as "absolute"
boolean switches on the filtering mode (when a user starts to type, combo suggests matching search results). The default value is "false"
number sets the left absolute offset of label. The attribute is applied only if the "position" is set as "absolute"
number sets the top absolute offset of label. The attribute is applied only if the "position" is set as "absolute"
number sets the left absolute offset of input. The attribute is applied only if the "position" is set as "absolute"
The main use case of the control is integration with the DHTMLX components. components are initialized as usual with the only difference is that they use the container control as a DIV container. the getContainer() method returns an HTMLDivElement object of the control. dhtmlxEditor integration. Presents text editor. presents a standard fieldset that allows combining several sense-connected items. (Deprecated) presents a file upload item. A hidden text field (invisible for users). Presents original input type=hidden. Usage of value is optional, but without this attribute hidden doesn't make any sense. To initialize an item as a part of Form, you need to specify at least the type, name and url params (if you omit the name property Form will generate it automatically). 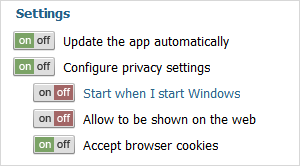 You can turn off the dhxr param by setting window.dhx.ajax.cache=true (see cache for details). The above code will load a custom image (if it was previously uploaded to server) or just load the default 'empty_user.jpg' image which will notify the user about missing image. When the user clicks to upload an image, selects the needed image and presses "open" in the browser dialog box, uploading will start automatically. After the form got the response, it will call the onImageUploadSuccess or onImageUploadFail events. If the file was uploaded successfully, the form will also update the image by calling the URL with the returned itemValue parameter. presents a standard text input field or a textarea. 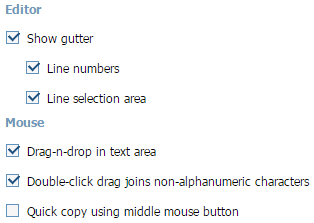 To define textarea, use the attribute rows (see details below). boolean true/false or 0/1, specifies whether item's value can be changed by button click in browser (meanwhile, item's value can be changed programmatically anytime). Generally, to turn a standard input to textarea you should set attribute rows. Note, the attribute doesn't specify the number of rows, it specifies the initial height of the control, calculated by the formula: 35px + (rows-1)16px . For example, rows:3 means that the height of your textarea will be 35+216 = 67px. To set any random value for the height, use rows in pair with attribute style. In this case, rows can be set to any value (but it must be specified anyway!) while the style attribute must specify the desired height. To set format of numeric data you should use the attribute numberFormat. decSep - a mark that will be used as the decimal delimiter. By default - ',' (comma). Out of the constructor, you can set the format by calling the setNumberFormat() method. 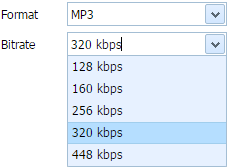 presents a multi-select list box. To validate a multiselect field you should define a custom validation logic. You can't use a standard validation as it works ONLY with string values and the item operates with arrays. allows creating a new column of items. and all further items will be placed into next column. In such way you can create any number of columns. If you had defined "newcolumn" but the items didn't split, please, check the width of your form's container. Most probably, the container doesn't have enough width to place items into 2 columns. presents a field where all the entered characters are shown as asterisks. presents a standard radio button. number sets the left absolute offset of radio button. The attribute is applied only if the "position" is set as "absolute"
number sets the top absolute offset of radio button. 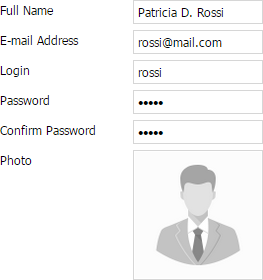 The attribute is applied only if the "position" is set as "absolute"
Form supports select nesting, i.e. you can set different items for different options. Subject to the selected option - the appropriate set of items will be shown. allows overriding some default form settings for items (placed at the beginning of data block). For example, attribute position. You'd like to place labels of several items to left. You can specify position:"label-left" for each item or just put this stuff into settings item once. In case you specify the same attribute in settings and item: setting's value will be ignored. string|number sets the height of input. The default value is "auto"
string|number sets the width of input. The default value is "auto"
string|number sets the height of label. The default value is "auto"
string|number sets the width of label. The default value is "auto"
allows setting any template to item. It can be some link, some text, another item, etc. Template is specified by the parameter format where you define the appropriate template handler. function defines template handler. This function should return value (formatted by user) which will be inserted instead of input. Gets parameters - "name", "value"
number sets the top absolute offset of input.The attribute is applied only if the "position" is set as "absolute"
An item that allows uploading multiple files and tracking the progress of individual file upload. You can find specific methods and events of the Uploader control in the dhtmlXFileUploader API. string|number the height of the item. The default value is "auto"
string|number the width of the item. The default value is "auto"
string the text of the initial screen. 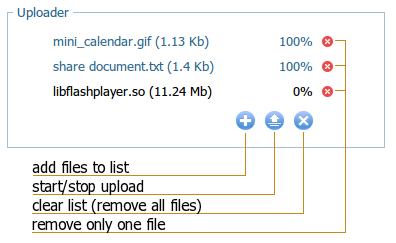 The default value - "Drag-n-Drop files here or click to select files for upload"
By default, the item uses the html5 mode, then flash if html5 isn't supported. If both html5 and flash aren't supported - html4. The sl mode can be invoked just manually. How does the control work? To provide the loading, the control uses a script that gets files to load. The same script is used in all modes but with slight differences. samples/07_uploader/01_basic_init.html - the index file (currently selected). 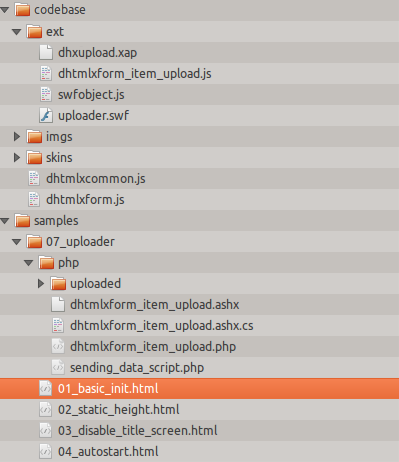 samples/07_uploader/php/dhtmlxform_item_upload.php - the server script we use. url - the path to the server script file "dhtmlxform_item_upload.php" relative to the index file "01_basic_init.html", in our case the path will be "php/dhtmlxform_item_upload.php"
swfPath - the path to the client flash script file "uploader.swf" relative to the index file "01_basic_init.html", in our case the path will be "../../codebase/ext/uploader.swf"
swfUrl - the path to the server script file "dhtmlxform_item_upload.php" relative to the client flash script file "uploader.swf", in our case the path will be "../../samples/07_uploader/php/dhtmlxform_item_upload.php"
To provide correct running in all browsers you need to specify 3 parameters at a time. Note, it's an experimental mode. slUrl - the full path to the server script file "dhtmlxform_item_upload.php". Please, make sure that for the 'html4' mode you set the response content type to "text/html", while for the other modes - to "text/json" .